TOKYO (Reuters) -- Mazda Motor Corp. today said quarterly profit fell 5.4 percent despite higher auto sales in China and the U.S. that helped cushion the blow of foreign exchange losses and costs booked for new plants in Mexico and Thailand. 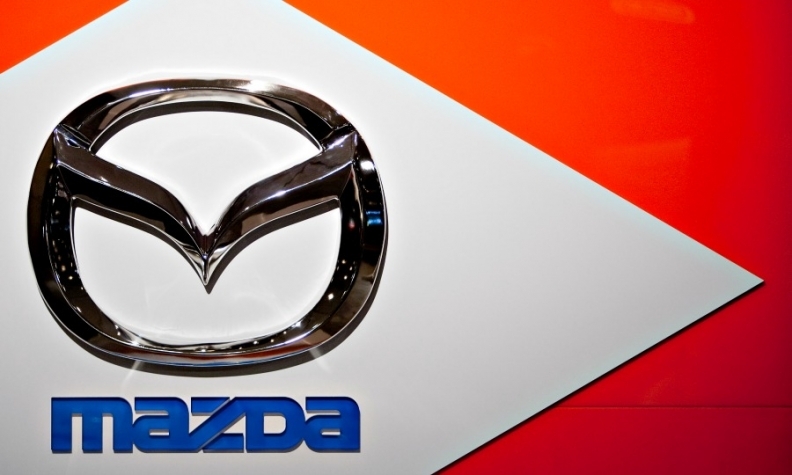 Mazda said in a statement that its April-June operating profit was 53.32 billion yen ($430 million). That was down from 56.38 billion yen a year ago. Mazda's global vehicle sales in its fiscal first quarter jumped 16 percent to 370,000, helped by brisk demand for the remodeled Mazda2 and CX-3. Sales in North America, its biggest market, rose 5.6 percent. New model launches helped sales in China to surge 31 percent to a record 57,000 vehicles, helped partly by government incentives favoring the environmentally-friendly Mazda3 model. But the automaker remained cautious on China, as concerns linger on whether recent stock market turmoil and economic jitters might squeeze consumers' appetite for new cars. "To be honest, it's difficult to read [the Chinese auto market]," said Masahiro Moro, managing executive officer and head of global marketing. "Up to now it's been growth and growth, but that's no longer quite the case," he said. The sales boost took the sting out of depreciation costs of 5.6 billion yen booked for new plants, and 10.8 billion yen in foreign exchange losses. Mazda left its financial forecasts for the year ending March 2016 unchanged, projecting operating profit of 210 billion yen, slightly up from 203 billion yen a year earlier.